Ulyana Y. Grichener focuses her practice in the area of first-party insurance litigation, where she is an advocate for policyholders. As an associate at the firm, she represents residential and commercial property owners in recovering for losses incurred due to denied or underpaid insurance claims. Prior to joining Weisser Elazar & Kantor, Ulyana worked for an insurance defense firm in Hollywood, Florida. Originally from Philadelphia, Ulyana received her Bachelors of Business Administration, with a minor in legal studies, from Temple University, Fox School of Business, where she held the Philanthropist Chair for Phi Alpha Delta, Temple Chapter. After her undergraduate studies, she attended New York University, School of Continuing Studies, receiving a Paralegal Certificate. Ulyana received her Juris Doctor from St. Thomas University, School of Law, with a Certification in Intercultural Human Rights. 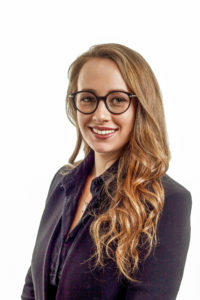 While in law school, Ulyana was the executive editor of the Intercultural Human Rights Law Review, served as the President of the Student Bar Association and the Jewish Law Students Association, as well as a member of Phi Alpha Delta, Mentschikoff Chapter, and the Elder Law Society. Ulyana received the Dean’s Award for Outstanding Leadership and Service, a Public Service Award for devoting over 300 hours of Pro Bono to the community and a CALI Book Award in legal research and writing. Throughout law school, Ulyana interned at the Miami-Dade Civil Court for Probate Judge Celeste H. Muir and now retired Circuit Court Judge Lester Langer. She is fluent in Russian. Ulyana is admitted and licensed to practice with the Florida Bar, New Jersey Bar and the Commonwealth of Pennsylvania Bar.